Just about everything you do is logged in SMART. You can selectively export these log events into a simple HTML report. 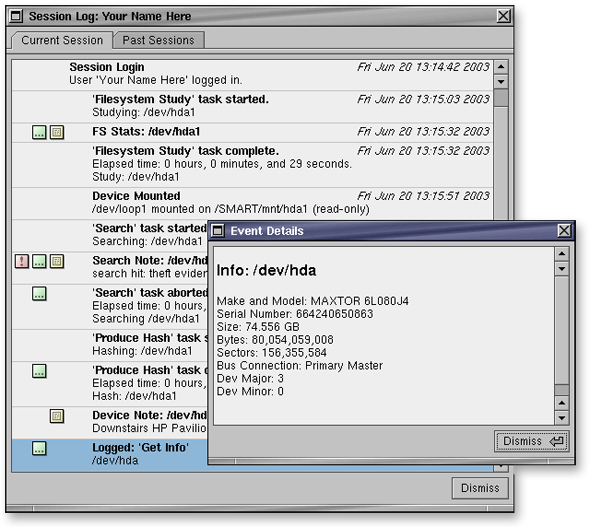 Log events show up in the session log (bound to the user) and the case log. Free form text can be associated with many items and events (yellow boxes). 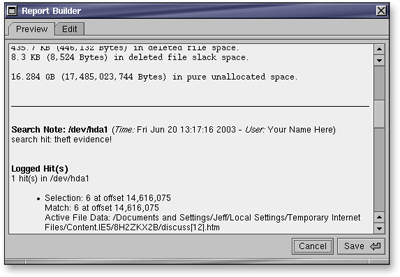 Detail (hashes, device information, etc.) can be accessed via right-click for green-box items. The red ones are user-flagged important items. Pick the events you want, and add them to an HTML report. Simple.